That’s the heart of Paul’s command to us in Philippians 4:6. But in the rat race of life, that’s easier said than done. Anxiety pollutes our lives with the exhaust of busyness, missed appointments, and tenuous relationships. Paul was a realist, however, and he knew that people could live free of anxiety. 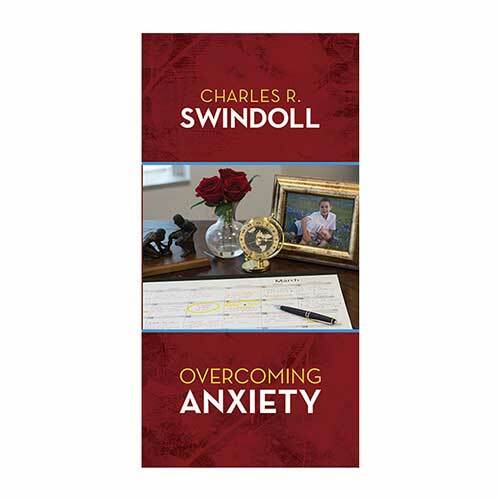 In Overcoming Anxiety, Charles R. Swindoll takes an honest look at what anxiety is and what it does to us. With insightful, practical biblical application, Chuck leads us back to God—the only One who can break the choke hold of anxiety and let joy and peace breathe into our lives once again.